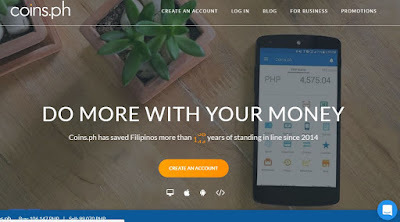 EveryMom'sPage: Coins.Ph: Earn by Conveniently Paying Your Bills! Have you tried mobile wallet yet? I am pretty sure some of you have already heard of Coins.ph. I know this is not commonly used yet, but I believe it will eventually become a popular tool for everyone. Coins.ph has become a very valuable platform which you is also available to download in your android phone via Google Play Store. 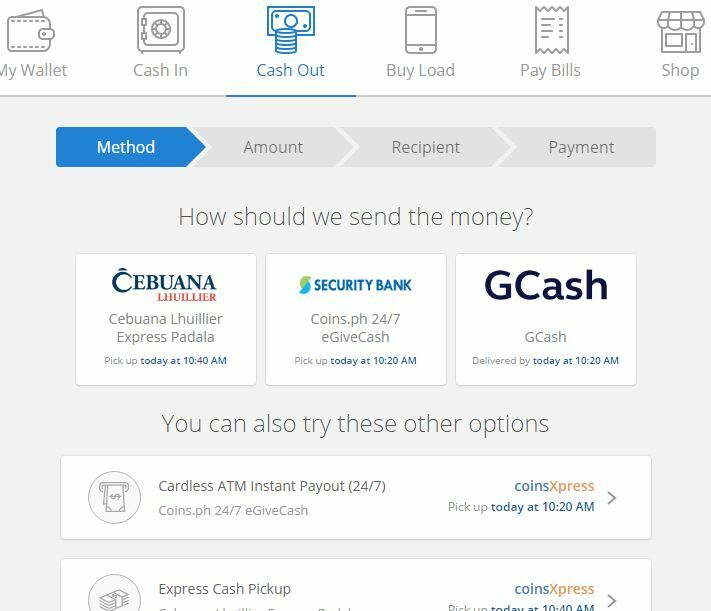 Go to Coins.ph website and create a new account. Once you created an account, you can now access the platform. To start using your mobile wallet, you need to load it up or Cash In. They have different methods on how you add funds to your account. You can also top up your phone using their load wallet which caters to all networks. You can also receive payments thru your coins.ph account which you can Cash Out, You can transfer your fund to your bank account or have it deliver on your door. You can choose from their plenty convenient methods to cash out your money. I always go for money bank transfer since this option is the most hassle-free for me. Paying bills become a lot easier, I can pay my internet, telephone, cable, SSS Contribution, PhilHhealth, Insurance using this platform. I really appreciate the huge convenience the internet provides and the platforms which makes life a lot easier. It has become a very important constituent of our daily lives most especially to a work from home mom like me. As I become busier each day home making, taking care of three children, and working two jobs (one part-time and one fulltime), I keep looking for ways on how I can do things with less hassle. Hubby is also busy helping me with kids and working. We cannot always go out as we wished, because of our household and work responsibilities. Paying bills is very time consuming since it is 30-minute drive from our home and it sometimes take 20 minutes falling in line. Coins.ph also gives me the opportunity to earn residual income. How? One thing I also like about Coins.ph, it can be a good source of residual income even you just stay at home. You can already start a loading business, you can get 5% cashback on each load transfer. Earn P100 for every 5 unique bills per week. You can charge transaction fee for money remittances or bank deposits. Refer a friend and get P50. If you are a stay at home mom, this is your chance to earn. Well, I am currently doing the first three ways to earn. I get more than 10 load transactions in a day, aside from the cashback, I charge an extra P2 (service charge). 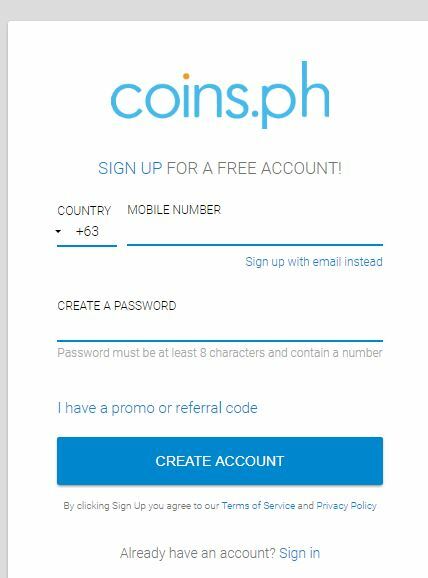 If you wanted to sign up for a Coins.ph account, click HERE.